I’m developing a taste for these. There are lots of dinky suburban tract versions of these perforated walls, but when the scale and placement are well thought out, they can be the building’s most arresting feature. This collection is a mix of decorative landscaping walls or actual exterior treatments on buildings. Either way, the fact that they afford both privacy and light is nice. 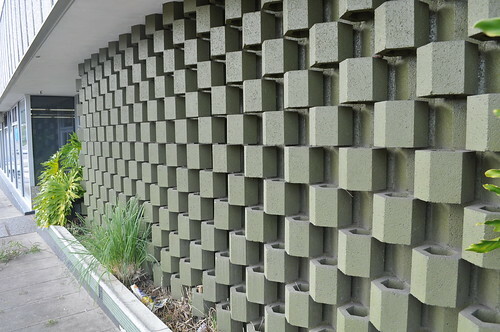 See also the entry on patterned concrete blocks. 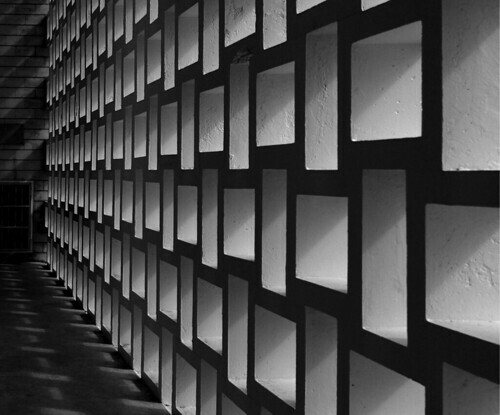 Above, “the white room” by Dag4 (‘m not sure if that one is concrete, technically, but it’s the same idea). Below, Racquet Club Tract, Palmer & Krisel. 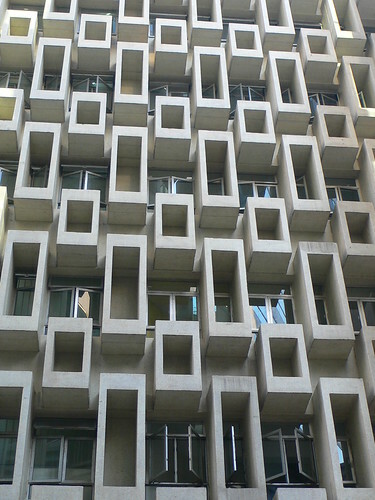 Architect: William Krisel. Palm Springs. American Cement building, and office building, all by Chimay Bleue. 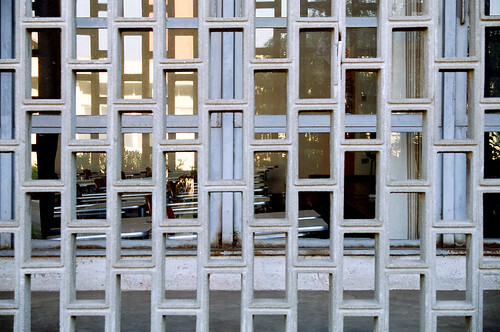 Photos below by how_long_it_takes, one0one0one, Fernando Stankuns, and Michael-D(new works). Click on photos for more info. This entry was posted on Thursday, December 10th, 2009 at 1:15 pm	and is filed under design. You can follow any responses to this entry through the RSS 2.0 feed. You can leave a response, or trackback from your own site. I found this some time ago. It fits with the idea of concrete screens. lovely i do say. i’ve always had an eye for these babies too. Wow! Amazing. I’m not sure I like the interior, or the habit of showing off one’s $100,000 cars! But that perforated screening is great. 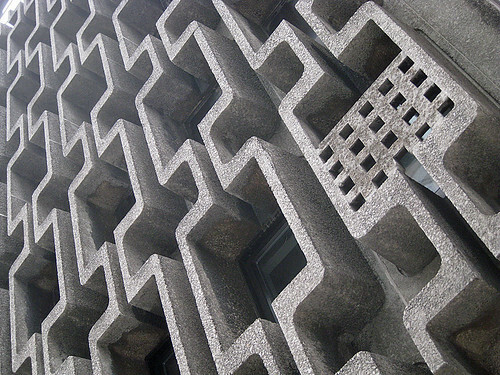 I enjoyed reading your two blog entries about patterned concrete screens. I’d love to see a photography book on this theme. 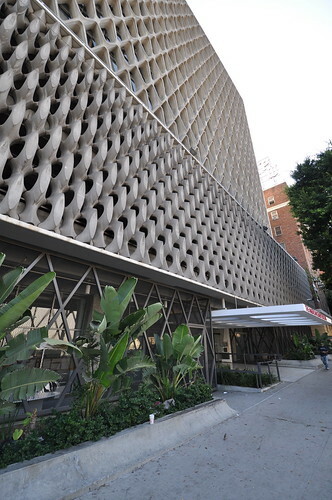 The 3rd photo down, American Cement Company, is a few blocks away from my apt in Koreatown Los Angeles… I get to admire this building every day.. it’s really incredible! 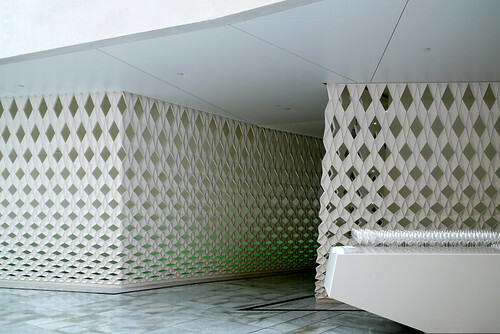 The master of the patterned concrete screen has always been Erwin Hauer. He has a website, which has a lot of eye candy on it. There are also books published on his work.